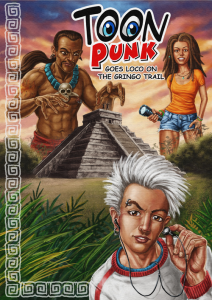 Samuel Hamilton and James Smith have announced the release of their collaboration Toonpunk Goes Loco on the Gringo Trail, a 64 page colour graphic novel is based on the duo’s real life adventures in Mexico. 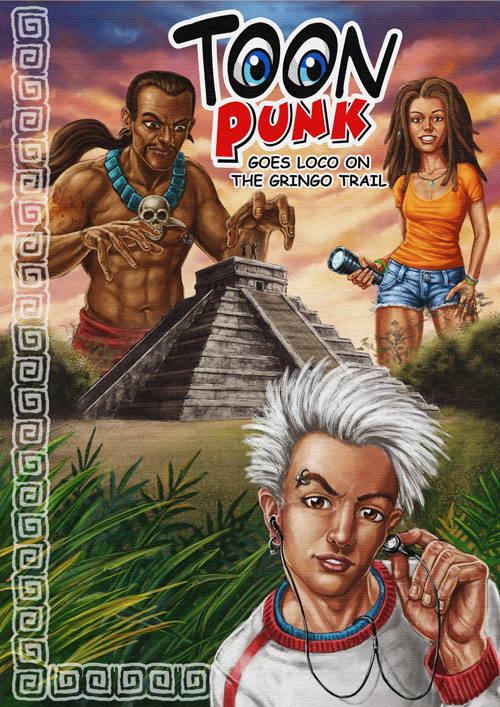 Toonpunk Goes Loco on the Gringo Trail is written by Samuel Hamilton (Welcome to the Machine), who has been producing online comics since 1996 (!). 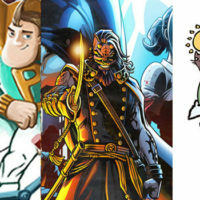 The book is illustrated by Hamilton and his fellow Arena Artists member James Smith. 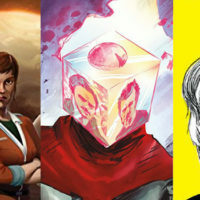 His artwork is inspired by 80’s cartoons, 90’s comic books, pop art and underground culture. 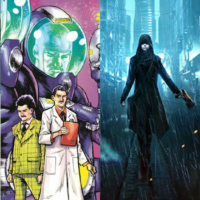 His first on line comic was ‘Welcome to the Machine’ in 1996 and his comic book band ‘The Amino Acids from Outer Space’ from 1999 predates ‘Gorillaz’. He has strong links with fashion labels ‘Maharishi’ and ‘Pepi’s’ and is currently part of the Arena Artists collective. 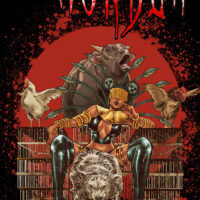 His latest project is a graphic novel featuring the character ‘Toonpunk’ which he created in 2001. He is also co creator of the musical collective ‘T23 and The psychedelic Circus’. Over the years his work has been shown in London clubs such as ‘Antiworld’ and ‘Sancho Panza’ as well as fine Art Galleries such as ‘The A and D Gallery’ and ‘The Foundry’. 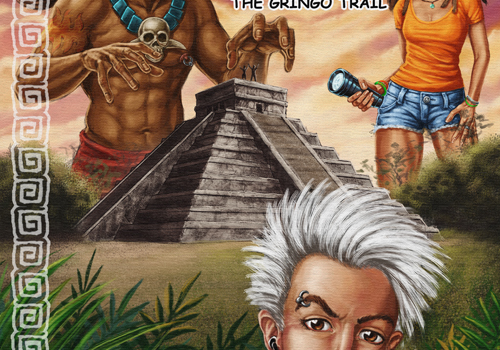 Toonpunk Goes Loco on the Gringo Trail is available to read online at www.toonpunk.net. For those who prefer something a little more tangible, a limited first run of 1000 signed copies is available from the site at £10.00 each, via Paypal. ISBN 978-963-06-9068-3. 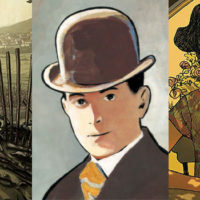 Hamilton and Smith’s other artwork can be seen (and purchased) at www.arenaartists.com.